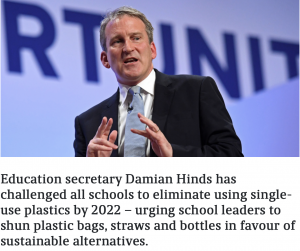 OK, now we’ve heard it: Damian Hinds (Education Secretary) has told schools they must eliminate all single-use plastic items by 2022, but how are they going to achieve that? Well, it just so happens that Kids Against Plastic have a FREE child-led initiative that will get the whole school onboard and meet the 2022 target, while empowering pupils to be change makers at the same time. The initiative is called Plastic Clever Schools. Read more here about Damian Hinds’ announcement. 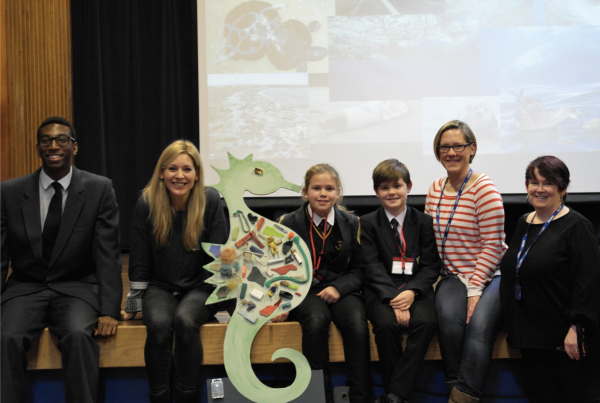 Kids Against Plastic is committed to helping schools succeed in their efforts to fight single-use plastic and have created all of the resources a school (with pupils leading the way) needs. And they are all freely available to any school wishing to get involved. All schools have to do to get started is REGISTER (using the form below). Start today be registering your interest. We’ll then send you the resources and activity ideas you need to reach Plastic Clever status. Please fill in the form below to register your interest in becoming a Plastic Clever School. We’ll then send you a a digital Welcome Pack via email help get you started. NB. If you’re already listed in our database, no need to re-register, we’ll send you the Welcome Pack. 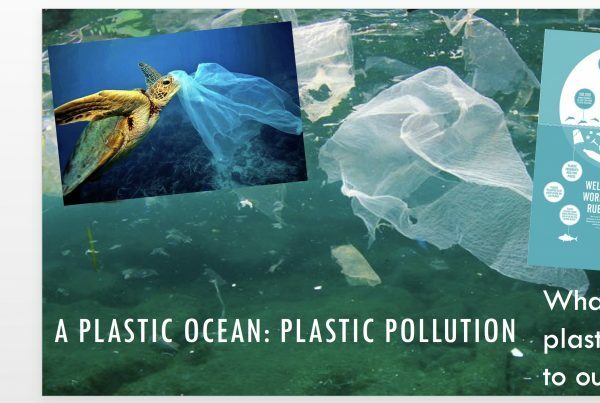 If you haven’t received it, drop us an email at hello@kidsagainstplastic.co.uk and we’ll re-send it. Fill in the form and hit ‘Submit’ and your Welcome Pack will be sent straight to your inbox. This stage is all about making as many people as possible aware of the issues associated with single-use plastic, whether it’s drinks bottles, cutlery or straws – it doesn’t matter! The important thing is you get people talking about plastic and how much they use. When you’ve completed the Raise Awareness step, send us a photograph using the form below and we’ll send you some goodies. …as well as email you some resources to help you progress to Plastic Clever School status (your next Stage to complete). Fill in the form and hit ‘Submit’ and your goodies will be posted out to you. Repeat Step 1, each time taking action against another of the BIG 4 items. NB. if one or more of the BIG 4 items aren’t applicable to your school, then skip them and move onto the next item that is. Send us a photo (or photos) of your efforts – using the form below. Fill in the form and hit ‘Submit’ and your Plastic Clever School goodies will be posted out to you. STAGE 4: Become Plastic Clever Plus! 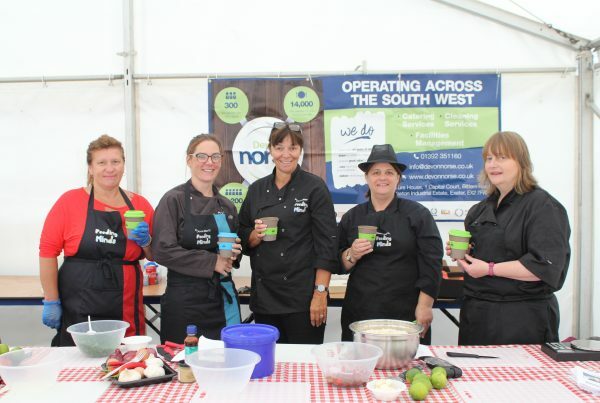 Because of their commitment to reduce plastic waste as a company, as well as a service provider, Devon Norse have been recognised them as a Plastic Clever Business.